The Center for Health Disparities and Molecular Medicine at Loma Linda University School of Medicine was recently awarded more than $2.6 million to fund a program that has vastly increased the number of highly qualified minority students in biomedical doctoral programs. The award from the National Institute of General Medical Sciences, part of the National Institutes of Health (NIH), will continue supporting the “LLU-NIH Initiative for Maximizing Student Development program” (LLU-NIH IMSD), which was designed to guide underrepresented minority students through their PhD studies and to encourage younger students to pursue graduate degrees in biomedical fields. The program was established in 2001, and has become a cornerstone of the LLUH health disparities pipeline program, which offers summer research internships and career development activities to high school, college and medical students. This pipeline program has become a model for increasing diversity in graduate education nationwide. Since its inception, it has awarded more than 600 summer internships to burgeoning biomedical students. School of Medicine Dean Roger Hadley, MD, said LLU's diversity program far outstrips programs at other medical schools. “Over the last 10 years I’ve had the opportunity to review scores of diversity pipeline programs at medical schools across the country, and Loma Linda’s program and its outcomes are some of the best in the nation," Hadley said. 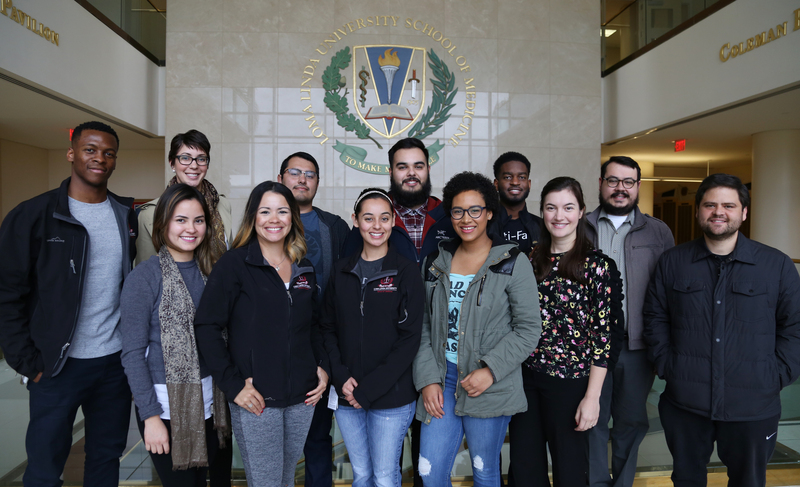 Prior to the program’s establishment, only 9 percent of the graduating PhD class in biomedical/behavioral fields at LLUH were underrepresented minorities, but the program has been successful in attracting highly qualified minority students. In 2016 underrepresented minorities made up 39 percent of the graduating PhD class in biomedical/behavioral fields. In comparison, less than 8 percent of underrepresented minority students pursuing higher education (including undergraduate degrees) nationally earned a doctorate in a STEM field, according to a 2017 National Science Foundation report. “The leadership at LLUH is highly committed to diversity and provides the kind of support that is needed to promote a successful and competitive program,” said associate program director Daisy De León, PhD. LLUH is one of about 50 institutions nationwide that have been competitively funded to be an NIGMS IMSD training site. The new grant will provide ten competitive awards to qualified students conducting their PhD studies in the School of Medicine. These fellows will participate in a rigorous evidence-based curriculum that complements formal training and do their research under experienced LLUH research scientists. In the past 15 years, the program has supported 51 PhD fellows – 26 of whom have already completed their graduate training. Most IMSD alumni are currently pursuing postdoctoral studies or working in academia, government and pharmaceutical companies. Carlos Casiano, PhD, associate program director, said the success of former students is a result of the “many outstanding and committed faculty research mentors” who guided them through their PhD studies. In addition to working closely with mentors throughout their studies, the IMSD fellows are familiarized with health disparities through seminars and research, required to participate in service-learning activities, and trained through a personalized development plan that is tailored to their strengths and weaknesses. The LLU-NIH IMSD program was one of the first in the nation to implement these features in order to improve academic research efficacy in participating students. As a result of the interventions, students participating in the program have completed their PhD education at a rate higher than national levels. “During the last 15 years students participating in the LLU-NIH IMSD program exhibited a 2.8 percent attrition rate and an average time to degree of 5.75 years,” Marino De León said. According to a recent report from the Council of Graduate Schools, PhD programs in the U.S. have an average attrition rate of 50 percent.